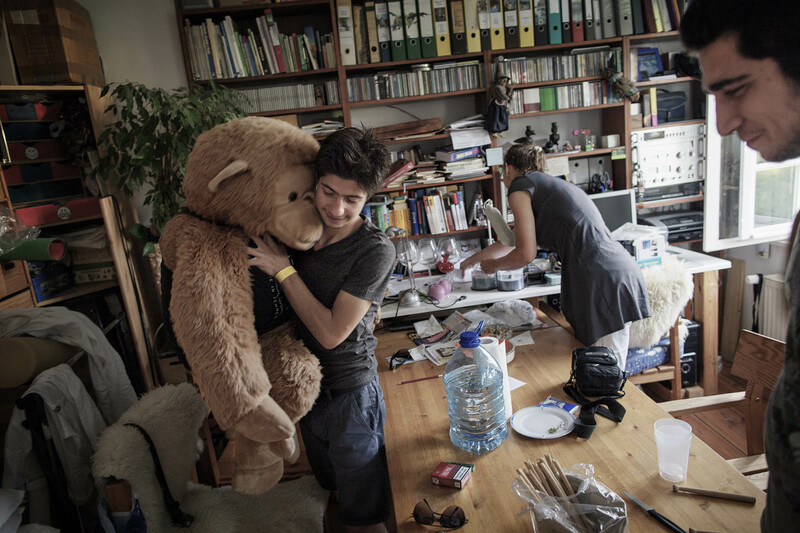 21 year old Ehsan Dallal arrived in Berlin the day before, after managing to avoid beeing arrested in Hungary. He met Tina and Lydia at a reception centre in Berlin, and they invited him and his friend Karam to their home for dinner. Ehsan and his friend could shower and change clothes as well as a trip to a public swimming pool.